Don't know which course to choose? Browse a list of available courses in your state here. If you're a student paying for your own class, or if your facility is paying for your class, register here. Questions about which registration process to use? Click here for help. If you're a facility registering one of your students, select facility registration here. We offer our clients medical industry, online classes to achieve their goals, all from the comfort of their own homes. Our courses are available to both facilities and individuals. Our staff at We Care Online Classes are professionals with well over 100 years of experience in the healthcare industry, including nursing homes, home health agencies as well as administration. 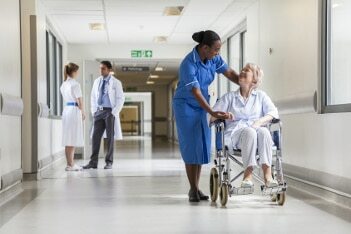 We Care Online was developed by a team of Registered Nurses who care about the effectiveness, timeliness, flexibility and cost of educating your employees. We Care Online will continuously help our customers have the flexibility and convenience of class times at an affordable cost. We value quality education and will strive to exceed customer expectations. "I enjoyed the class online..liked the fact that i am sitting here drinking coffee while the kids are watching cartoons and doing my updates.!!! I really enjoyed learning the new ways of administering medications. And the games, it was all still fresh in my mind...thank you." "(The course) was wonderful! It greatly benefited me to take it because now I understand soooo much more about restorative that I could even fill in now in a pinch if they needed me to. I am becoming a universal worker thanks to WE CARE ONLINE!!!!" I am very surprised at how easy it was for me to learn how this all worked I was really worried I wouldn't be able to figure it out because I'm not really good with computers. I loved being able to get on when ever I had the time to and working at my own pace. Thank you! For helping me to further my education in the comfort of my home and on my schedule so that I can keep working. It seemed rather intensive, which is to be expected because of the time frame, but i feel I've learned so much! "I really enjoyed that I was able to complete the work at my own pace. I could work forty hours at work, take care of my toddler, and still spend an adequate amount of time on my course work. All my questions were answered in a timely manner and my course work graded quickly. I really enjoyed taking this course."